Bay Adelaide North, at 810,344 square feet, is the third and final tower in the Bay Adelaide Centre complex in downtown Toronto. It is unique in that it has large podium floors and a rooftop patio opportunity. 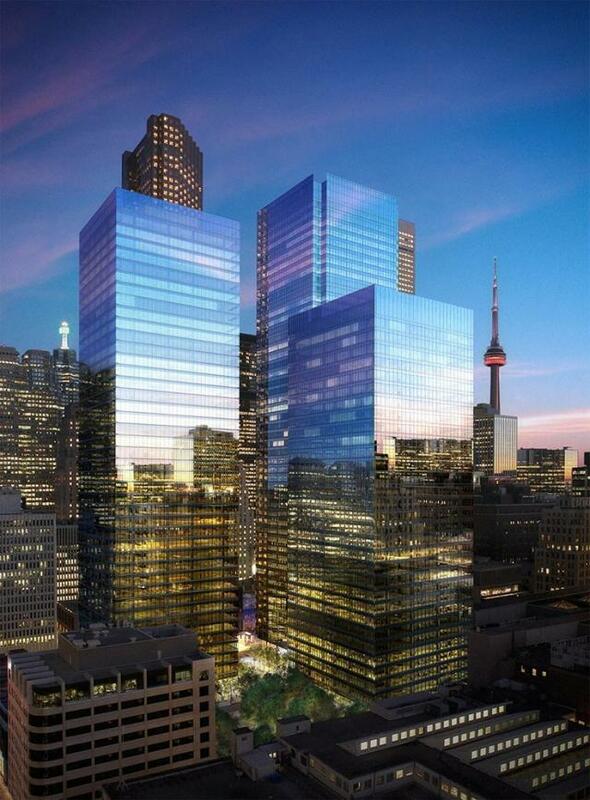 Currently, the Bay Adelaide Centre, comprises two AAA office towers with a retail component, and totals over two-million square feet. The complex features a ½ acre urban plaza and 1,000 stall parking garage. Anchored by major accounting and legal firms, the Bay Adelaide Centre is ‘the centre of business’ and represents a new standard for AAA class office buildings due to the innovative design and technology incorporated into the construction and day-to-day operations, and integration with the heritage and community of the financial core.